Jane Hart, director and editor of the Centre for Modern Workplace Learning, recently wrote an article about a survey that she is conducting on the valued ways of Learning in the Workforce. Her results find that the formal activities offered by most L&D organizations (i.e. e-learning, conferences, classroom training) are actually considered the least valuable to learners’ development. Surprising, right? In fact, while L&D departments generally focus on creating more appealing and interactive training courses, Hart reveals that what employees actually want is a more relevant, modern approach that incorporates daily work experiences, knowledge sharing with teams, web resources, professional networks and communities, and feedback from mentors into the programs. Why exactly are these methods ranked higher though? As the most valued method of learning, daily work experiences are crucial to employee development training because this allows employees to practice and apply their learned skills in the real-world, as well as engage in continuous learning, rather than episodic training. Furthermore, in-person daily interactions provide opportunities for social learning, which helps to develop the ever more critical soft skills in the workplace, such as communication, leadership, and teamwork. Knowledge sharing within your team furthers that learning experience by facilitating highly context-driven learning interactions and taps into deeper learning. After all, only by first reflecting and re-evaluating one’s thoughts can people then externalize and share them in a cohesive and comprehensive way. Similarly, receiving feedback allows learners to access valuable knowledge from not only their expert mentors, but also their peers. Peer feedback can be even more powerful than feedback from experts, partly because new learners can explain concepts to other learners better, and partly because the social connections (including professional networks and communities) bring social connections and reinforcement to the learning dynamic (learn how to optimize feedback in online courses). In addition, Hart points out that a key feature that makes this particular aspect successful is that they are chosen and organized by the employee themselves. This act of self-selection and self-organization encourages self-sufficiency in continuous learning, which is a critical skill to build in the context of an ever-changing job landscape. These high-value ways of learning can be fostered in a variety of ways in organizations. In the realm of online learning, the NovoEd learning platform was built specifically to blend formal, traditional e-learning with the more effective approaches of peer-to-peer learning identified in the survey. This includes incorporating genuine workplace projects (project-based, experiential learning having shown to improve long-term retention of content, as well as improve problem-solving and collaboration skills, Strobel and van Barneveld, 2009) and learning in small teams, which provides social learning benefits to its participants by expanding their professional network & community, reducing dropout rates, and improving communication and collaboration skills (Springer, Stanne, and Donovan, 1999). Indeed, with the rapid pace of technological growth, the world of work is constantly evolving, and there is a need for everyone to possess the growth mindset of continuous self-improvement and self-development in order to survive and thrive in this new world. People with such a mindset embrace a love of learning, and these modern learners are increasingly moving their learning online. 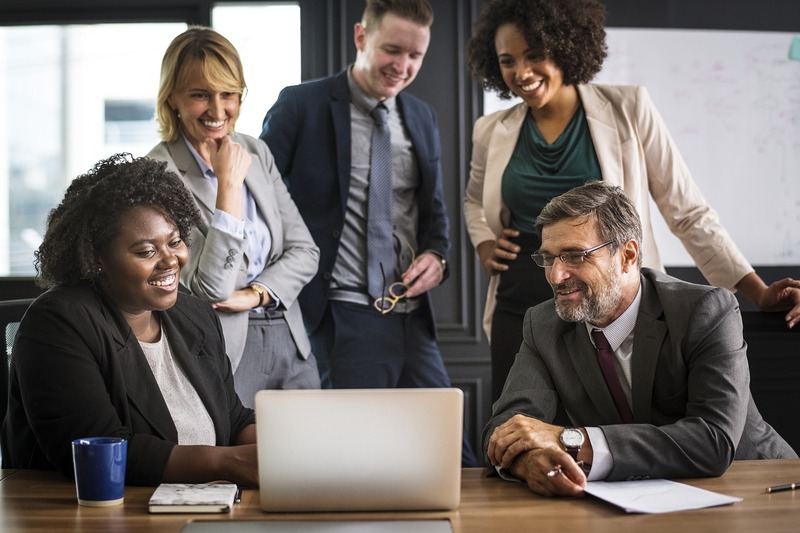 By incorporating social sharing of projects & feedback, we can move beyond the standard functionality of the LMS and foster the informal learning and peer interactions that result in truly effective learning for today’s workplace.